Every little girl and boy is living their own adventure – from learning new words and making friends to exploring nature and navigating the ways of the world, each day is exciting. So what if they could be the star of their very own story? Imagine their excitement when they see their name on the pages of a real book, and even find their photo inside. That’s exactly what happens when you order a book from Story For Me. 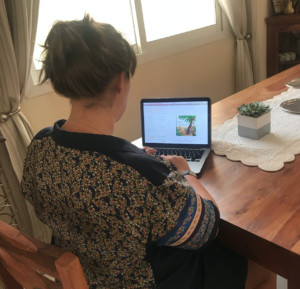 Founded by Zeeshahn and Sharavati, two Dubai mums who were looking for special presents for their own little ones, this new online store is very special indeed. 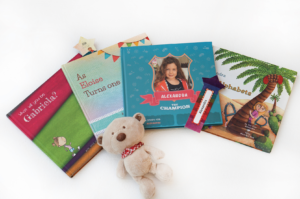 Offering personalised stories for children, you can now find the perfect gift for your little bookworm. Simply pick the book you think they will like best (there are options covering everything from sportsmanship and careers to the alphabet and their birthday), and send over some information such as your child’s name, who you want the book to be from – this will be included on the cover – and a description of them or a photo for some stories, and the team will do the rest, with your custom book arriving within 14 days. 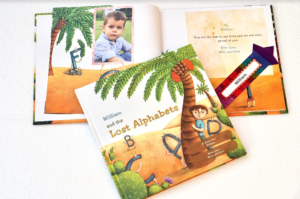 Shipping is available across the GCC, and what arrives is a hardback book that you can enjoy for years to come, complete with their name, image and a message from the sender. 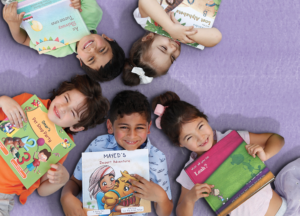 Family from home can order online at http://www.storyforme.me for birthday or Christmas presents delivered across the UAE, or they can even opt for a gift certificate so your child can choose the story they like best. This will be a book that they feel connected to, and is truly ‘theirs’. 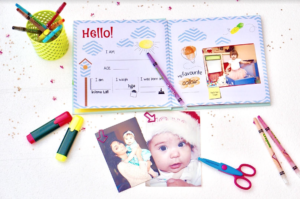 If your child is into taking pictures or scrapbooking, the Photo Book (AED100) will provide hours of entertainment, with pages where they can stick in photos, write memories, do drawings and fill in details about their life. It’s the ultimate keepsake. They even come with stickers for even more of a personal touch. And guaranteed to keep them busy! I’m a passionate believer in the joys of reading together, and there’s nothing better than having your bath-fresh sprog curled up on your lap as you turn the pages of a favourite story. Phoebe was absolutely delighted to see her face looking back at her from the book, and loved finding her name, proudly telling her granny on the phone that we were reading HER story. My only concern is how many times she wants to read it! Make your child a star of their own story this holiday season – order online at www.storyforme.me.